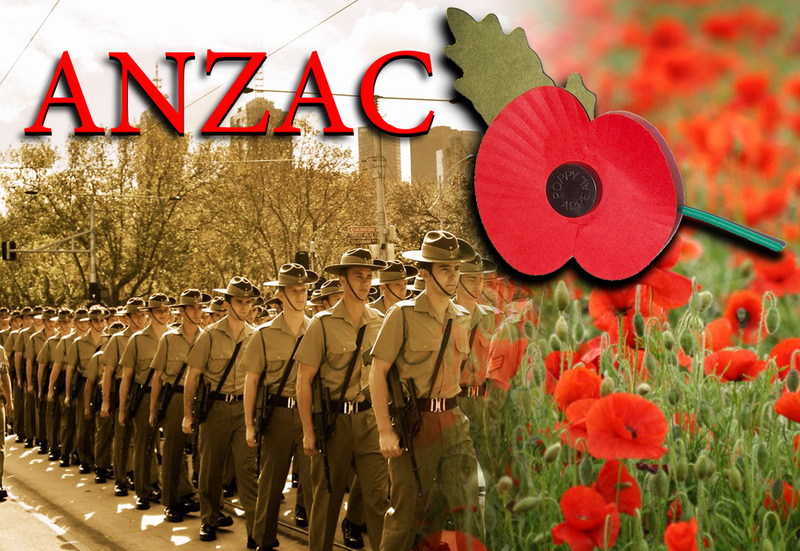 ANZAC Day is on April 25 and is celebrated Australia-wide. However, holiday arrangements vary in states and territories. 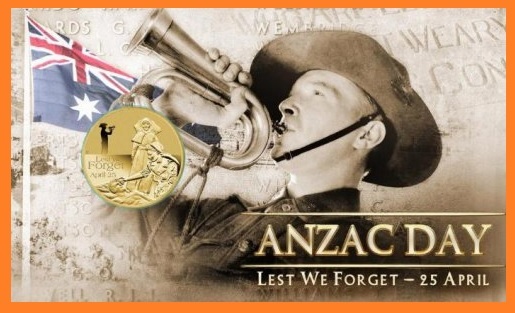 ANZAC Day’s motto is ‘Lest We Forget’ and is a phrase uttered after the reading of the Ode of Remembrance, a poem called ‘For the Fallen’, written by Laurence Binyon in 1914 in England. The main verse of the poem, the fourth and middle verse, is quoted at ANZAC Day ceremonies, and other remembrance ceremonies. A record crowd of more than 85,000 people have turned out for Anzac Day commemorations in Melbourne to mark 100 years since the landings at Gallipoli. Shots rang out as the Melbourne Symphony Orchestra and Royal Australian Air Force band played Abide with Me to the crowd of thousands at the Shrine of Remembrance this morning. The rain did not deter the huge crowd which filled out the service. Earlier, hundreds of thousands of people gathered around Australia to remember the nation’s war dead. Dawn services across the country heard stories of heroism, bravery, mateship and sacrifice, with a record turn-out of 120,000 at the Australian War Memorial in Canberra. Located in the capital at Canberra, the Australian War Memorial hosts one of the largest Anzac Day commemoration in the country. In fact, there are even activities taking place on the days before and after. The Memorial hosts its own Dawn Service, a national ceremony featuring a march of veterans and peacekeepers, and exhibits throughout the weekend. At midnight the day before, Brisbane hosts a silent service for Anzac Day, followed by a Dawn Service at the Shrine of Remembrance. The Anzac Day March in Brisbane features between ten and fifteen thousand people with about fifty thousand spectators flocking to support them. In the past, the March has been lead by the Royal Australian Navy. The largest Dawn Service in Western Australia takes place at the State War Memorial in Perth. There is also a Gunfire Breakfast for ex-service personnel and the community to fill the time between the Dawn Service and the March, which ends in a memorial service. In addition to the Dawn Service at Monument Hill, and the parade leaving from Esplanade Reserve, Fremantle also holds a closing service with an Anzac Day Concert. The spirit of the day continues on at the Sir Hughie Edwards Anzac Day Derby between South Fremantle and North Fremantle football clubs. Free admission is offered to persons with military medals or uniforms. During this commemoration season, words frequently heard are “emotion” and “emotional”. Ordinary people, contemplating a tombstone at Anzac Cove or returning from a Dawn Service, asked how they feel, almost invariably use the E-word — as in “very emotional” or “I feel a lot of emotion”. We do not often get the “emotional rollercoaster” rumbled out but, if the grave of a relative – even a distant one – is in the vicinity, we sometimes hear that awful word, “closure”. As retired archivist Michael Piggott notes, museums have had a new lease of life (in the face of assaults from the virtual world) by evoking emotional responses from their patrons, particularly emotional responses to objects. The Australian War Memorial is a prime example.